Newswise , January 16, 2017- “Why does a 30-year-old hit their foot against the curb in the parking lot and take a half step and recover, whereas a 71-year-old falls and an 82-year-old falls awkwardly and fractures their hip?” asks James Richardson, M.D., professor of physical medicine and rehabilitation at the University of Michigan Comprehensive Musculoskeletal Center. For the last several years, Richardson and his team set out to answer these questions, attempting to find which specific factors determine whether, and why, an older person successfully recovers from a trip or stumble. All this in an effort to help prevent the serious injuries, disability, and even death, that too often follow accidental falls. “Falls research has been sort of stuck, with investigators re-massaging over 100 identified fall ‘risk factors,’ many of which are repetitive and circular,” Richardson explains. Richardson continues, “If engineers were asked why a specific class of boat sank frequently and the answer came back: poor flotation and navigational ability, history of sinking in the prior year and the captain took drugs, we would fire the engineers! Richardson’s latest research finds that it’s not only risk factors like lower limb strength and precise perception of the limb’s position that determine if a geriatric patient will recover from a perturbation, but also complex and simple reaction times, or as he prefers to refer to it, a person’s “brain speed.” The work is published in the January 2017 edition of the American Journal of Physical Medicine & Rehabilitation. “Our study wanted to identify relationships between complex and simple clinical measures of reaction time and indicators of balance in elderly subjects with diabetic peripheral neuropathy, nerve damage that can occur in those with diabetes,” Richardson says. He realized they needed a new, easy way to measure that rapid decision-making ability. Using a device developed with U-M co-inventors James T. Eckner, Hogene Kim and James A. Ashton-Miller, simple reaction time is measured much like a drop-ruler test used in many school science classes, but is a bit more standardized. “The clinical reaction time assessment device consists of a long, lightweight stick attached to a rectangular box at one end. The box serves as a finger spacer to standardize initial hand position and finger closure distance, as well as a housing for the electronic components of the device,” Richardson says. To measure simple reaction time, the patient or subject sits with the forearm resting on a desk with the hand off the edge of the surface. The examiner stands and suspends the device with the box hanging between the subject’s thumb and other fingers and lets the device drop at varying intervals. The subject catches it as quickly as possible and the device provides a display of the elapsed time between drop and catch, which serves as a measurement of simple reaction time. Although measuring simple reaction time is useful, Richardson says that the complex reaction time accuracy has been more revealing. The initial set up of the device and subject is the same. However, in this instance, the subject’s task is to catch the falling device only during the random 50 percent of trials where lights attached to the box illuminate at the moment the device is dropped, and to resist catching it when the lights do not illuminate. In the study, Richardson and team used the device with a sample of 42 subjects, 26 with diabetic neuropathy and 16 without, with an average age of 69.1 years old, to examine their complex reaction time accuracy and their simple reaction time latency, in addition to the usual measures of leg strength and perception of motion. They then looked to see how well these measures predicted one-legged balance time, the ability to control step width when walking on a hazardous uneven surface in the research lab and major fall-related injuries over the next 12 months. In the subjects with diabetic peripheral neuropathy, good complex reaction time accuracy and quick simple reaction time were strongly associated with a longer one-legged balance time, and were the only predictors of good control of step width on the uneven surface. 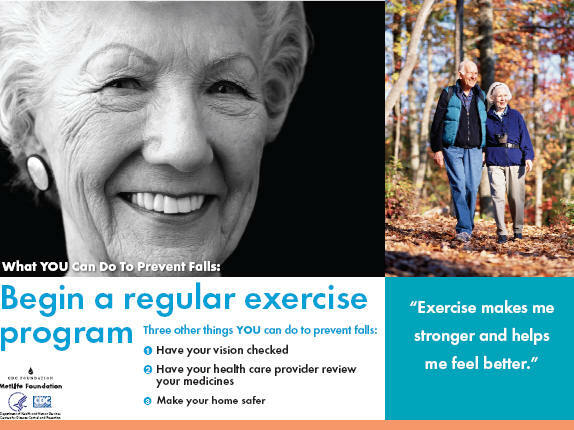 In addition, they appeared to identify those who sustained major fall-related injury during the one-year follow up. Surprisingly, the measures of leg strength and motion perception had no influence on step width control on the hazardous surface and did not appear to predict major injury. “Essentially we found that those who were able to grab the device quickly, or quickly make the decision to let it drop, had quick brains that were somehow helping them stay balanced and avoid aberrant steps on the uneven surface,” Richardson says. He explains that the ability to avoid aberrant steps after hitting a bump while walking, and stay balanced while performing the trials, were likely based on the participant’s brain processing speed. In particular, the ability to quickly withhold, or inhibit, a planned movement is required for good complex reaction accuracy and responding to a perturbation while walking. In both cases, the original plan of action must be aborted and a new one substituted within approximately a 400 milliseconds time interval. “With this in mind, it makes perfect sense that brains fast enough to have good complex reaction time accuracy were also fast enough to quickly pay attention to the perturbation while walking, inhibit the step that was planned and quickly execute a safer alternative,” Richardson says. Richardson says this assessment, which cannot be produced from a computer or pen/pencil tests, could be valuable to other health care providers, such as primary care physicians, neurologists, geriatricians and a variety of rehabilitation professionals. Newswise, January 16, 2017-- Sunlight allows us to make vitamin D, credited with healthier living, but a surprise research finding could reveal another powerful benefit of getting some sun. Their findings, published today in Scientific Reports, suggest how the skin, the body’s largest organ, stays alert to the many microbes that can nest there. 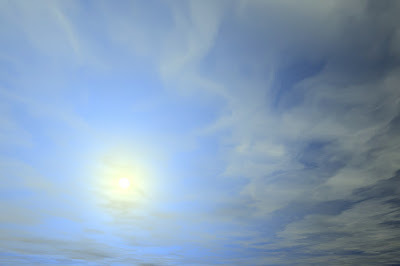 “We all know sunlight provides vitamin D, which is suggested to have an impact on immunity, among other things. But what we found is a completely separate role of sunlight on immunity,” says the study’s senior investigator, Gerard Ahern, PhD, associate professor in the Georgetown’s Department of Pharmacology and Physiology. They specifically found that low levels of blue light, found in sun rays, makes T cells move faster — marking the first reported human cell responding to sunlight by speeding its pace. “T cells, whether they are helper or killer, need to move to do their work, which is to get to the site of an infection and orchestrate a response,” Ahern says. And while the human and T cells they studied in the laboratory were not specifically skin T cells — they were isolated from mouse cell culture and from human blood — the skin has a large share of T cells in humans, he says, approximately twice the number circulating in the blood. “We know that blue light can reach the dermis, the second layer of the skin, and that those T cells can move throughout the body,” he says. What drove the motility response in T cells was synthesis of hydrogen peroxide, which then activated a signaling pathway that increases T cell movement. Study co-authors include lead investigator Thieu X. Phan, PhD, Barbara Jaruga, PhD, Sandeep C. Pingle, PhD, and Bandyopadhyay, PhD, all from the Georgetown University Medical Center’s Department of Pharmacology and Physiology. The study was supported by a pilot grant from the National Multiple Sclerosis Society. Newswise, January 16, 2017-- Health-related goals such as losing weight, exercising and quitting smoking tend to top the list of New Year’s resolutions in America. Yet research shows that only 8% end up achieving their resolutions each year. That's why some health experts believe a more effective approach would be to follow New Year’s with a recommit strategy that capitalizes on the natural momentum of the weekly cycle. To that end, The Monday Campaigns, a nonprofit associated with leading public health schools, is encouraging people to turn their 2017 New Year’s health resolutions into “Monday Resolutions,” gaining 52 chances to succeed. “Using Monday to reset your goals, celebrate progress and get back on track after a weekend slip-up can help people stay on track for the long haul,” said Dr. Lawrence Cheskin, director of the Johns Hopkins Weight Management Center. According to research, people see Monday as a fresh start and are more likely to begin diets, exercise regimens and quit smoking on a Monday more than any other day. In addition, published studies in JAMA Internal Medicine and the American Journal of Preventive Medicine found that health-related searches on the internet peak on Monday. Joanna Cohen, co-author of these studies and the director of the Institute for Global Tobacco Control at the Johns Hopkins Bloomberg School of Public Health, considers Monday as a “mini-New Year’s” that provides 52 chances a year to stay on track, instead of just one. “Studies show that Mondays are a natural opportunity to engage smokers and reduce their likelihood of relapse. It’s the January of the week, the day that smokers are looking for help,” explained Dr. Cohen. This is particularly important because for many smokers, it may take 30 or more quit attempts before being successful. A Monday health reset can also help sustain healthy behaviors. People report that starting the week off with exercise, healthy eating and a positive attitude helps keep them on track throughout the week. 2. Break each goal into small, manageable steps. 3. Make a weekly plan and write it down to commit. 4. Share your goals with others for support. 5. Hit the Healthy Monday Reset, if you lapse. The Monday Campaigns works with leading public health schools to offer science-based weekly tips, recipes and other inspiration to help people start and sustain healthy behaviors. Wellness organizations can also download free resources to start their own Healthy Monday programs. The Monday Campaigns works in association with The Lerner Centers for Public Health Promotion at Johns Hopkins, Columbia and Syracuse universities. The initiatives of The Monday Campaigns dedicate the first day of every week to health, and support a global movement of individuals and organizations committed to public health and ending preventable diseases. Newswise, January 16, 2017 — In a research letter published Dec. 27, 2016, in JAMA, University of Chicago physicians describe a new concern for patients in the hospital: distractions caused by the misfortune of other patients. “This should serve as a wake-up call for hospital-based physicians,” said study author Matthew Churpek, MD, MPH, PhD, assistant professor of medicine at the University of Chicago. “Our data suggests that after caring for a patient who becomes critically ill on the hospital wards, we should routinely check to see how the other patients on the unit are doing,” Churpek said. “We suspected this phenomenon based on our own anecdotal experience,” said co-author Samuel Volchenboum, MD, PhD, associate professor of pediatrics at the University of Chicago and director of the University’s Center for Research Informatics. “Very few academic centers have access to the kinds of high-quality data needed to perform this type of investigation,” he added. 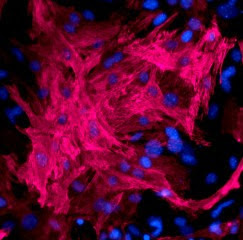 The study was funded by the National Heart Lung and Blood Institute. Additional authors were Anoop Mayampurath, Gözde Göksu-Gürsoy, Dana P. Edelson and Michael D. Howell, all from the University of Chicago. Newswise, January 16, 2017– Leveraging existing relationships with friends and family may be a more effective way to improve patients’ health and encourage new healthy habits and behaviors than increasing interactions with physicians or other clinicians. In a new perspective published by the New England Journal of Medicine, Penn Medicine behavioral economists suggest a five-step ladder to effectively engineering social engagements that promote health and to test their acceptability and effectiveness. “Spouses and friends are more likely to be around patients when they are making decisions that affect their health - like taking a walk versus watching TV, or what to order at a restaurant. Patients are also more likely to adopt healthy behaviors – like going to the gym – when they can go with a friend,” explains co-author David Asch, MD, MBA, a professor of Medicine at the Perelman School of Medicine at the University of Pennsylvania and director of the Penn Medicine Center for Health Care Innovation. Because of these lost opportunities, and the high costs when doctors and nurses keep tabs on their patients, the authors say it’s important to engineer social engagements that enlist the social support patients already have, and allow organizations to test their acceptability. The authors define a ladder with escalating rungs of social support ranging from no social engagement – such as when a patient is expected to take medication as part of a routine, without anyone seeing them do it or holding them accountable – to a design that relies on reputational or economic incentives, and incorporates teams or other designs that hold patients accountable for their health behaviors and habits. “Although we don't normally think of competition or collaboration among patients are part of managing chronic diseases like high blood pressure, heart failure, or diabetes, research shows that behavior is contagious, and programs that take advantage of these naturally occurring relationships can be very effective,” said co-author Roy Rosin, MBA, chief innovation officer at Penn Medicine. For example, in the fourth rung, where social incentives are designed with reciprocal support, the authors point to a study in which some patients with diabetes were asked to talk on the phone weekly with peers — a technique known as reciprocal mentorship — and others received more typical nurse-led management. Results showed that those who worked directly with peers saw a more significant decline in glycated hemoglobin levels than those who worked with clinical staff. Vitamins in tears could provide alternatives to blood-based nutritional health screenings. Newswise, January 14, 2017 — Babies cry easily, but those tears may help shed light on the role and potential uses of vitamins in tears. Maryam Khaksari, a research specialist at the Chemical Advanced Resolution Methods (ChARM) Laboratory at Michigan Tech, is the lead author of a paper on the subject recently published in Experimental Eye Research. "Our goal was to seek the viability of establishing measurable units of tears for nutritional assessments,” Khaksari says. "Your body cannot manufacture vitamins, and vitamins reflect available food sources in your body. That's what makes them good indicators of nutritional health." 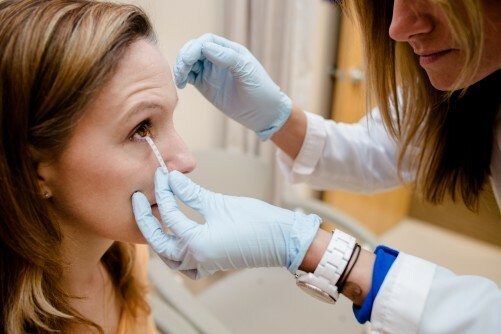 The researchers are working towards inexpensive, tear-based microfluidic devices or strips to improve access to nutritional tests, especially for at-risk populations. As the authors write, nutritional deficiencies are most often treated by symptoms, "however, symptom-presentation substantially lags behind the chemical level deficiency." In children that damage can have lifelong effects, which is part of the reason Khaksari collaborated with a medical and analysis at UP Health System – Portage and Michigan Tech. They focused on babies with a 100 percent liquid diet of formula or breastmilk to understand the connection between parent nutrition and infant nutrition. Also, nutritional data gleaned from the parents help reveal the family's access to healthy foods. They tested tear samples and blood samples from 15 four-month-old infants and their parents. In general, water-soluble vitamins were higher in infants and fat-soluble vitamins were higher in parents—notably, mothers tended to be more deficient across the board. Generally, there is a connection between parents and babies and the team showed a correlation between vitamins E and B. Formula-fed babies were the exception, with notably higher levels of B vitamins. The work is preliminary but shows promise for laying out trends in tear vitamin levels. "Since tears contain vitamins," she says, "they might have real potential to replace other clinical tests." Newswise, January 14, 2017 — Researchers at the UCLA School of Nursing are addressing health challenges related to issues of the heart, the leading cause of death worldwide – from chronic health concerns faced by individuals born with congenital heart disease to those who are at risk or have developed cardiovascular disease. For each researcher, there was a defining moment that started them on their research path. Maybe it was a specific patient or being at the right place at the right time. For some, the path has been fairly straight, while others have had twists and turns. But all of their journeys are changing lives of patients and moving science and nursing practice forward. The difference these researchers are making shows why the UCLA School of Nursing is a leader in cardiovascular health. Congenital heart disease is the No. 1 birth defect in the nation. Forty years ago, most children with congenital heart disease did not survive into adulthood. But with the advent of new surgical procedures, postoperative management and follow-up care, these children are surviving. As a result, issues related to their health have unfolded, leading to two researchers – Mary Canobbio and Nancy Pike — to look for answers to improving health outcomes and quality of life. Shortly after Canobbio earned her master’s in nursing from UCLA, she was offered a chance to participate in the development of a new program managing patients born with congenital heart disease (CHD) but now as adults would need continued, life-long care. At the time there were no CHD programs that transitioned patients from pediatrics to adult-centered care. Thus, the UCLA adult congenital heart disease (ACHD) program became the first program of its kind in the U.S. Today there are more adults with CHD than children, but the number of centers available to care for them remains limited. As the program’s Clinical Specialist , Mary found that many of the women had menstrual problems and those with complex heart problems were told they couldn’t get pregnant. The advent of a new procedure in the late 1980s – Fontan – offered new hope for one population who had been told they could never get pregnant. “Now the question became not could they get pregnant, but should they get pregnant?” And once again Mary was on a mission. Ultimately she worked on two studies with the Mayo Clinic in the 1990s to find if women’s menstrual cycles returned to normal and if so, could they safely get pregnant. She has kept a multi-centered registry since that time and has recorded 100 pregnancies and 72 live birth. There are still questions regarding the health risks for these women – does the pregnancy put additional strain on the woman’s heart and potentially shorten her lifespan? Canobbio has followed women in the registry and hopes to publish her study focused on the long-term effects of pregnancy in these patients with complex CHD. Cannobio’s work has not gone unnoticed by heart experts. Nearly 20 years after she started working with adults born with CHD, the AHA published a best practices statement on the transition of care and will soon be publishing a Scientific Statement on the reproductive issues and Mary’s studies are key. Nancy Pike had worked for more than two decades as a nurse practitioner in pediatric cardiac surgery. Children born with only one pumping chamber in their heart – known as single ventricle congenital heart disease – often need to have two or three surgeries before they are three, which researchers believed could affect cognitive development. Pike was also hearing anecdotally from parents that, as the children grew, many of them were having difficulties remembering things, struggling more often in school and had to work twice as hard to get good grades compared to their siblings who were not born with heart problems. Pike found that there had been little research specifically linking memory loss and brain structure injury in this population. Her pilot study looking at memory identified approximately 60% of teenagers with CHD had mild memory deficits and demonstrated worse verbal verses visual memory compared with healthy controls. From that study, she decided to do her own research and, with a grant from the National Institutes of Health (NIH), Pike set about studying memory and brain structure injury in adolescents with single ventricle heart disease. Her study has found structural injury in areas of the brain that support memory and cognitive function. The key now is to find out why this occurs and whether we can help them – is this injury permanent? Along the way, Nancy’s research was adopted by students at Flintridge Sacred Heart Academy as a community service project. After she had tested a student at the school who had single ventricle heart disease, she needed healthy controls. The student’s classmates quickly stepped up to participate and the project ended up as a two-page feature story in the school newspaper. Pike is just completing the research on this first grant and has now received a second NIH grant to look at cerebral artery integrity and the link to brain injury and cognition in CHD. The exact cause of brain injury in some patients with CHD is unknown. Compromised integrity of the cerebral arteries may contribute to reduced cerebral blood flow and cause brain injury of neural tissue. Who can be affected by cardiovascular disease? Everyone. It is the leading cause of death for both men and women and it can affect people of all ages, races and ethnicities. Researchers at the school are looking at various aspects of cardiovascular health – from identifying risk factors and prevention, to correlation between heart failure and brain function and outcomes of heart transplantation. All of this work is aimed at getting patients on a better health path. Mary Woo is passionate about her research. She will tell you that “despite all the advances in treatment that have emerged in the last 10 to 15 years, the high rates of mortality and morbidity in heart failure haven’t changed. This led her to examine heart rate variability as an independent predictor of sudden cardiac death risk in advanced heart failure patients. As a result of this research, Dr. Woo developed one of the first heart rate variability assessment techniques to be an independent predictor of sudden death risk in advanced heart failure patients. She then expanded her research to examine predictors of sudden death risk as well as the influences of sleep on brain structure in heart failure. She was the first investigator to report that the specific sites of gray matter loss in heart failure patients are impacted by the amount of sleep disordered breathing as well as gender. Her groundbreaking studies have shown that heart failure patients have significant brain damage in areas that dramatically impact cognition, emotion, and breathing. Since 1997, Woo has been continuously funded for her research by the NIH. In addition to numerous presentations and publications, she was recognized as a “Pillar of Cardiovascular Nursing Research” by the American Heart Association (AHA) Council on Cardiovascular Nursing. Lynn Doering was a master’s student in nursing and working as a cardio-thoracic ICU nurse when she had an innovative idea. Could we get the same readings if patients with catheters were positioned on their side as on their back (which was the standard at the time)? She published the results of her study, which wet her whistle for nursing research and led her to pursue her PhD. Her doctoral dissertation was on heart transplant patients. At the time, it was believed that the transplanted heart was “de-innervated” or had lost the nerve stimulation which affected the heart rate. “We wondered over the long term if the innervation returned and found that people who were a year out from their heart transplant had some heart rate return,” said Doering. This became the first study that showed that the nerves in these patients grew to send heart rate signals to their brains. Unlike her colleagues who were focused on studying various aspects of heart failure, Doering continued to have an interest in following patients after heart surgery. 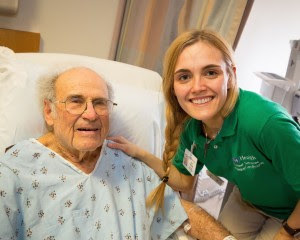 In a patient satisfaction study, she received revealing responses to the question: “What would you like your doctors and nurses to know?” With Dr. Anthony McGuire, a master’s student at the time, she published a paper, “Recovering from cardiac surgery: What patients want you to know,” in the American Journal of Critical Care in 2002, that was one of the most highly read papers in nursing literature for years. With guidance from former Dean Marie Cowan, Doering began studying depression – first in heart surgery patients and now in all cardiovascular patients. She has studied the use of nurse-delivered cognitive behavioral therapy (CBT) – a present-focused, problem-solving form of psychotherapy – to reduce depressive symptoms and immune-mediated postoperative inflammation after cardiac surgery. Currently she is piloting the use of quantitative electroencephalograms (QEEG) to provide early prediction of response to CBT in cardiovascular patients with depressive symptoms, so that depression treatment can be personalized. She has also come full circle in her research trajectory by returning to the heart transplant population. She is completing a study to test wireless ECG monitoring as a means to predict early organ rejection after heart transplant. One in three women in the United States is living with cardiovascular disease, including nearly half of all African American women. During her master’s program, Jo-Ann Eastwood saw that firsthand in her clinical practice as a critical care nurse. “After many years of seeing women come in to our emergency department who were 55 and had already had a heart attack, I knew something had to shift. It was obvious that awareness and prevention of heart disease was not on their radar, although the risk factors were present. Many survived but lived with a less than optimum quality of life due to the damage that had been done to their hearts. That's what drew me to this population: Where could I do the most good?” said Eastwood. She also came to realize that there was a lot of racial disparity – that black woman have a higher risk of heart attack and stroke – and at a much younger age. Partnering with several local African American churches, she conducted a study, funded by the American Heart Association, to test the effectiveness of using education and connectivity through smartphone apps to help young black women reduce their risk for heart disease. 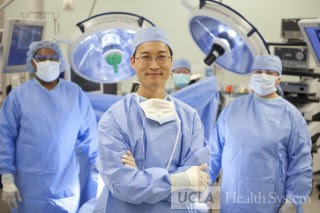 The app was developed in collaboration with the UCLA Wireless Health Institute. Women were sent daily and weekly questions and feedback and motivational messaging regarding their eating and exercise habits. Each Sunday they measured their blood pressure using blue-tooth equipped pressure cuffs that sent readings to the researchers. All the data was collected and reviewed by the researchers, who in turn could coach the women if the researchers saw an unusual response. Early results showed that the women had significant improvements in blood pressure and cholesterol levels. Even more exciting for Eastwood was that the women didn’t just improve their own cardiovascular health, but the health effects extended into the family, which for Eastwood was her biggest reward. Eastwood’s study garnered a lot of external media coverage, including a front page story in the California section of the LA Times. Sarah Choi is one of the newest faculty members at the School and her program of research focuses on cardiovascular risk reduction among people with type 2 diabetes. As a Family Nurse Practitioner, she treated many patients with type 2 diabetes – one of the major risk factors for cardiovascular disease. Approximately two-thirds of people with Type 2 diabetes die of heart attack or stroke, not just from the high level of blood glucose. She wanted her diabetic patients to realize that they were at higher risk of developing heart disease than their peers without diabetes and that they needed to make serious lifestyle behavior changes to control other risk factors such as high blood pressure and cholesterol. She found that diabetic patients had a very low perception of their heart disease risk. In fact, many of them felt they were “protected” from heart disease by taking medications for diabetes. Newswise, January 14, 2017 – The anxiety many men experience after being diagnosed with prostate cancer may lead them to choose potentially unnecessary treatment options, researchers from the University at Buffalo and Roswell Park Cancer Institute report in a new study. “Emotional distress may motivate men with low-risk prostate cancer to choose more aggressive treatment, such as choosing surgery over active surveillance,” said UB’s Heather Orom, the lead author on the study, published in the February issue of the Journal of Urology. “It underscores what we have been pushing a long time for, which is, ‘Let’s make this decision as informed and supported as possible.’ If distress early on is influencing treatment choice, then maybe we help men by providing clearer information about prognosis and strategies for dealing with anxiety. We hope this will help improve the treatment decision making process and ultimately, the patient’s quality of life,” added Orom, PhD, associate professor of community health and health behavior in UB’s School of Public Health and Health Professions. The study involved 1,531 men with newly diagnosed, clinically localized prostate cancer, meaning the disease hadn’t spread to other parts of the body. Researchers measured participants’ emotional distress with the Distress Thermometer, an 11-point scale ranging from 0 (no distress) to 10 (extreme distress). The men were assessed after diagnosis and again as soon as they had made their treatment decision. The majority of study participants had either low- or intermediate-risk disease, and were more likely to have been treated with surgery, followed by radiation and active surveillance. “Men’s level of emotional distress shortly after diagnosis predicted greater likelihood of choosing surgery over active surveillance,” the researchers report. While prostate cancer is a major disease in the U.S., it is not a death sentence, according to the American Cancer Society, which estimates there are nearly 3 million prostate cancer survivors alive today. “The goal of most physicians treating men with prostate cancer is to help their patients and family members through a difficult process and help their patients receive appropriate treatment,” said Willie Underwood III, MD, MS, MPH, an associate professor in Roswell Park’s Department of Urology, and a paper co-author. “To do so, it is helpful for physicians to better understand what is motivating men’s decisions and to address negative motivators such as emotional distress to prevent men from receiving a treatment that they don’t need or will later regret,” Underwood added. Caitlin Biddle, a PhD candidate in community health and health behavior at UB, is also a co-author on the paper. Newswise, January 14, 2017 — One way to reduce vision loss from glaucoma is to make sure your family members understand that they are at increased risk - if you have glaucoma. Glaucoma is a worldwide problem that can lead to blindness. It is especially problematic because there are often no symptoms in its early stages. It is estimated that up to 50 percent of people with glaucoma don't realize they have it. Numerous population-based studies have demonstrated that one of the greatest risk factors for glaucoma is a family history of the disease. That means that one of the most important things you can do is to talk about glaucoma with your family and encourage them to take steps to preserve their vision. When your family is visiting, or at family gatherings, talk about glaucoma and encourage your family members to have their eyes checked by getting a comprehensive eye exam - it can make a real difference. Glaucoma may have no symptoms at first, but the earlier glaucoma is caught, the easier it is to treat. Encouraging family members to get checked is a way to make sure they don't lose vision, because once they do, they can't get it back. Genetic studies have suggested that more than 50 percent of glaucoma is familial. It's very strongly hereditary, especially among siblings; the rate of glaucoma can be 10 times higher among individuals with a sibling who has glaucoma. It's likely that at least 15 percent of glaucoma patients have at least one sibling who has glaucoma, and that individual may be totally unaware of the disease. But remember - anyone who is a blood relative is at increased risk. When you share your health information with family members - letting them know you have glaucoma and that they may be at risk - you are potentially giving them the gift of sight, even if it feels like a burden to bring it up. Family gatherings are a good opportunity, not only to spread the word, but to get valuable family health history information when multiple family members are present and can contribute to the family knowledge. This month, make a commitment to reaching out to your family members and encouraging them to get screened. I'm already working with a number of individuals and organizations to further this cause. 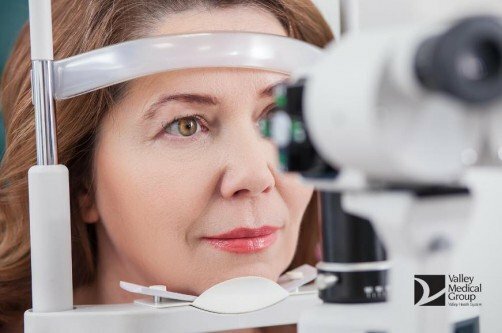 If a significant portion of patients and eye-care professionals also make a commitment, we can have a major impact on reducing the number of individuals with undiagnosed glaucoma. Newswise, January 14, 2017 – Organ transplants performed at the University of Alabama at Birmingham and across the United States in 2016 reached record highs, according to preliminary data from UAB and the United Network for Organ Sharing. UAB performed 385 transplants in 2016 — up more than 4 percent from 2015 — including a 25 percent jump in the volume of liver transplants performed at UAB Hospital. UAB’s numbers are up in part because of the Alabama Organ Center’s record year, which saw 153 organ donors donate 425 organs upon death — a 24 percent increase from 2015. Nationwide, 33,606 transplants were reported to UNOS, representing an 8.5 percent increase over the 2015 total, and an increase of 19.8 percent since 2012. Devin Eckhoff, M.D., director of UAB’s Division of Transplantation, part of the Department of Surgery and School of Medicine, says exceeding local and national records is not possible without the selfless decision thousands of people made to become either a living organ donor or an organ donor upon death. “Truly, these aren’t numbers,” Eckhoff said. “They are people, and they are people here in Alabama and around the country who physicians have had the privilege of helping return to health, in some cases for the first time in years because of the generosity of another human being. “The Alabama Organ Center has been focused on transforming itself to better meet the needs of the community, and we are seeing the positive results of those efforts,” said Chris Meeks, executive director Alabama Organ Center, which became only the eighth procurement organization in the country to open its own in-house recovery center in 2016. “We exceeded the national growth performance in 2016 and are now focusing on continued growth and sustaining our service to our mission. Today, more than 123,000 candidates are on the national organ transplant waiting list, with nearly 3,200 waiting in Alabama. UAB’s transplant program has performed more than 14,000 transplants during the past 50 years. UAB Medicine offers transplant surgery for heart, liver, lung, pancreas and kidneys. Eckhoff says the UAB’s Liver Transplant Program’s increase in the volume of transplants by 25 percent from 2015 to 2016 was due to several factors, including UAB’s aggressive pursuit of livers that have been turned down at other centers for a variety of reasons. “We pursue increased-risk donors, for example, where the risk of dying on the transplant list is far greater than the risk these donors may present for the recipients,” Eckhoff said. Eckhoff says UAB’s liver program hopes to at least sustain its volume and, hopefully, increase it slightly if the current allocation system remains in place. UAB is the only liver transplant center in Alabama and one of only 20 nationally that average 100 or more liver transplants annually. Liver transplants are complex, lengthy surgeries that involve several surgeons, anesthesiologists and nurses, and they require a donor whose size and blood type are similar to the recipient’s. UAB’s Heart Transplant Program is one of the most distinguished programs of its kind in the nation since the first heart transplant in the Southeast was performed at UAB in 1981. Since then, hundreds of heart transplants have been performed at UAB. Patients also are cared for in a state-of-the-art, 23-bed Heart Transplant Intensive Care Unit, which is one of only a few of its kind in the nation. The Lung Transplant Program at UAB is one of approximately 65 active programs in the United States. Since 1989, UAB has performed more than 600 lung transplants, which places it among the 10 busiest centers in the nation. UAB’s Kidney Transplant Program began in 1968 and is one of the busiest in the nation. The program averages almost 300 transplants per year. It boasts an incompatible transplant program and recently performed the Deep South’s first HIV-positive to HIV-positive kidney transplant. The program also continues its UAB Kidney Chain, which began with a single, altruistic donor to grow into the longest chain of transplants ever performed. It is currently at 67 transplant recipients with more planned for 2017. “From performance of its first transplant in 1968 through implementation of the new ECMO program for lung transplant candidates and ABO- and HLA-incompatible kidney transplantation — both landmark advances realized in 2013 — UAB has a rich tradition in solid organ transplantation,” said Robert Gaston, M.D., executive director of UAB’s Comprehensive Transplant Institute, which was founded in 2011. Read more about all of UAB’s transplant services here. According to UNOS, the growth in overall transplants nationwide for 2016 was driven largely by an increase of 9.2 percent in the number of deceased donors from 2015 to 2016, continuing a six-year trend of annual increases. Many deceased donors provide multiple organs for transplantation. Approximately 82 percent (27,628) of the transplants involved organs from deceased donors. The remaining 18 percent (5,978) were performed with organs from living donors. In addition, an increasing number of deceased donors in 2016 had medical characteristics or a medical history that, in prior years, may have been considered less often by clinicians. These include people who donated after circulatory death as opposed to brain death, as well as donors who died of drug intoxication or those identified as having some increased risk for bloodborne disease. What kind of impact can one person make as an organ donor? According to the U.S. Government Information on Organ Donation and Transplantation, one organ donor can save as many as eight lives. A single tissue donor can save and heal 50 others through needed heart valves, corneas, skin, bone and tendons that mend hearts, prevent or cure blindness, heal burns, and save limbs. Kidneys, heart, lungs, liver, pancreas and intestines can be donated along with stem cells, tissue, blood and platelets. Register with the Alabama Organ Center today to be an organ, eye and tissue donor. To register or find out more information on how to be a living kidney donor, fill out UAB Medicine’s Living Kidney Donor Screening Form.